Furniture for general, executive and presidential offices, the common denominator for them all is practicality and Made in Italy quality. Dividing and fitted partitions for offices, with essential but stylish lines. The right solutions for the most efficient organization of the work space. Chairs, sofas and armchairs for the office. Classic and modern proposals combining design and comfort but with the ever present style. A single partner to work with to plan and create the offices for small, medium and large enterprises. A reliable and highly skilled turnkey proposal. Arredoufficio offers quality and reliability from the original project design through to installation, counting on a highly specialised team always at your service. Arredoufficio is a leader in the supplies of office furniture. 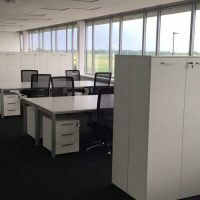 Their wide range means any workspace can be perfectly furnished, and also dividing and fitted partition walls. Ability, flexibility and reliability have transformed Arredoufficio into the today and tomorrow of office furniture design and supply. to create innovative solutions that revolutionize the concept and life in the office.